Human induced pluripotent stem cells (hiPSCs) are becoming increasingly important for cardiac safety testing due to their recapitulation of native behaviour, relative abundance and ease-of-use. 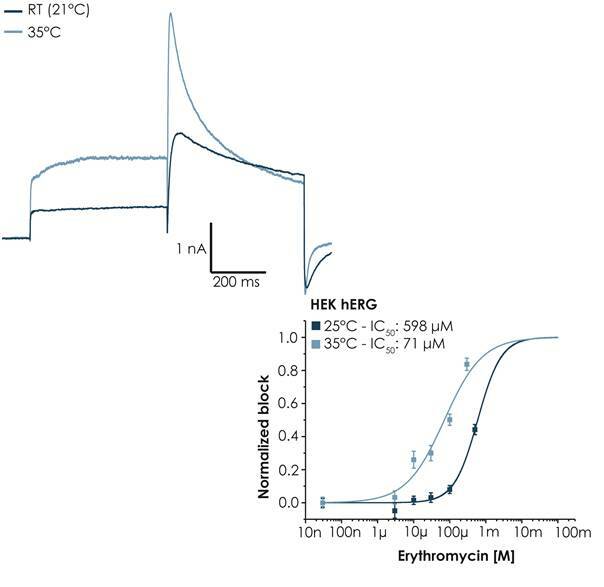 We combine automated patch clamp (APC), impedance and extracellular field potential (EFP) measurements to study hiPSC-derived cardiomyocytes (hiPSC-CMs) from different sources. 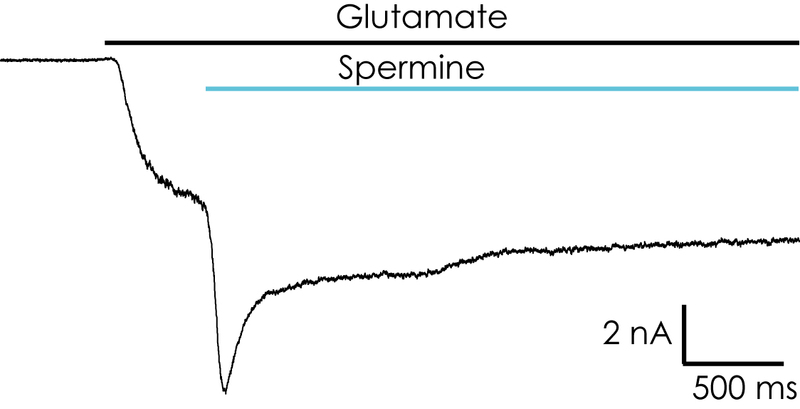 In line with the comprehensive in vitro proarrhythmia assay (CiPA) initiative, cardiac ion channels expressed in heterologous expression systems have been recorded on APC devices at room temperature and at physiological temperature and the effect of different pro-arrhythmic compounds on ion channels was investigated. In addition hiPSC-CMs were used on APC platforms recording from 8 or 384 wells simultaneously. Voltage-gated Na+ (NaV), Ca2+ (CaV) and K+ (KV) currents were recorded in voltage-clamp and action potentials recorded in current clamp mode. 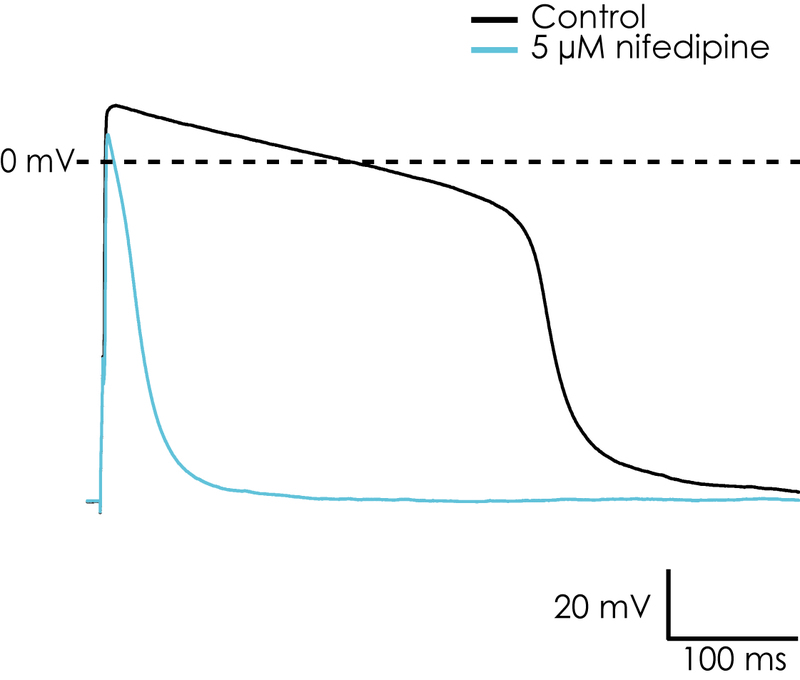 Using the dynamic clamp technique coupled with an APC device, electrically modelled IK1 was injected into the cell under current clamp conditions and this resulted in a more hyperpolarized and stable resting membrane potential. 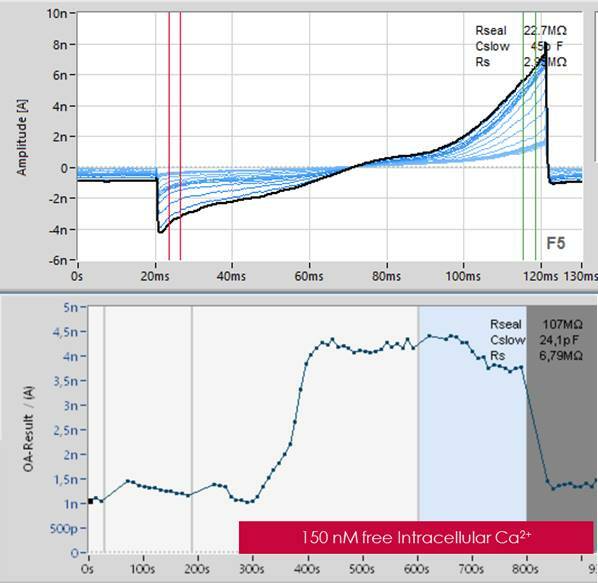 Within the myocyte phase II study of the CiPA initiative, a device combining impedance-based contractility and extracellular field potential (EFP) recordings was used to investigate the effects of different compounds deemed low, intermediate and high risk by the FDA. 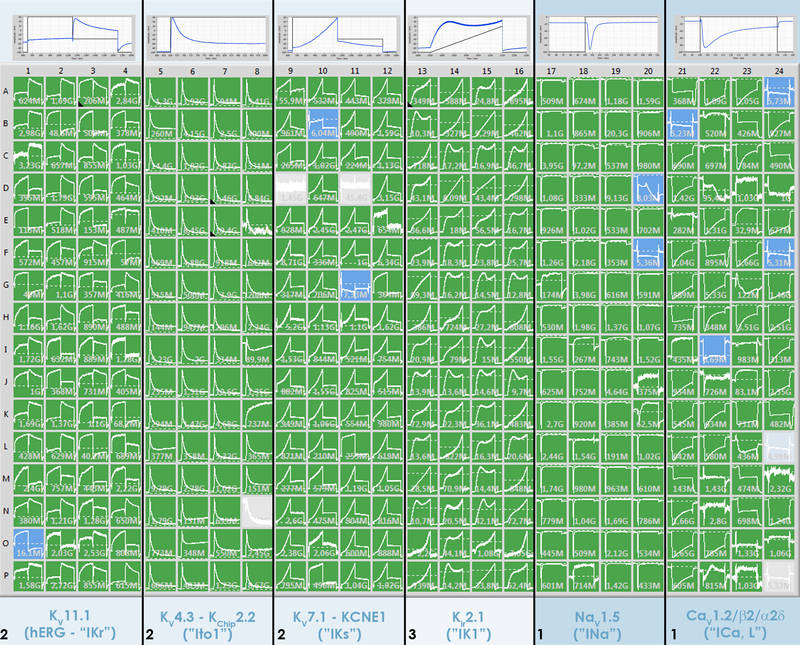 Different hiPSC-CMs were used in a large cross-site evaluation and the results are summarised here.